I would consider you to be one of my sporting heroes. The wonderful, dignified way you went about delivering two All-Ireland football titles to Galway in 1998 and 2001 left a lasting impression with me and were among the highlights of my 22 year career in provincial journalism. I am writing to say how saddened I was to see you and members of your party, Fine Gael, sit in the Seanad this week to oppose a bill which will give huge hope to people living under an appalling occupation. 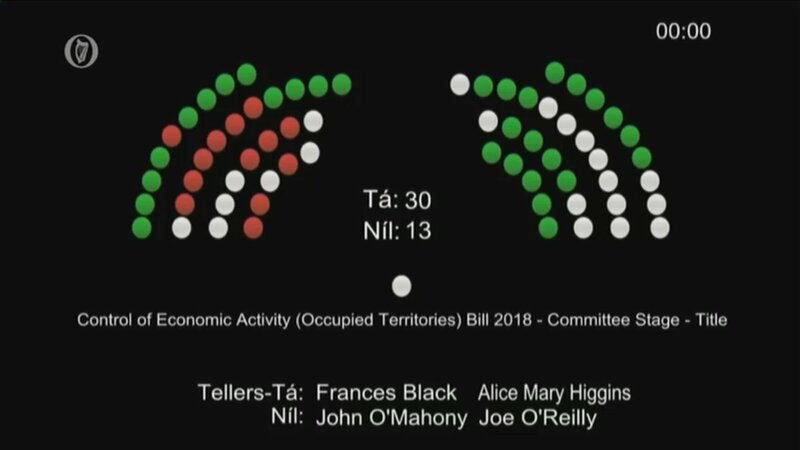 I come from a "Fine Gael family" and I am truly appalled by the party's stance on Senator Frances Black's Occupied Territories Bill. How would Michael Collins have voted on Wednesday night? You are something of a hero in the GAA (especially West of Ireland GAA), an organisation which knows more than a thing or two about oppression, colonisation, and the brutality of an occupying army. When the British Army murdered 14 people and injured 60 during a football game in Croke Park in 1920, the GAA and the people of Ireland really could have done with international solidarity and support. I remember a famous photo which went viral all over the world when your Galway team were All-Ireland champions. It showed your team, the champions, playing Armagh next to a British Army base, where helicopters were taking off and landing, in a National Football League game in South Armagh. The GAA has a long and noble history of standing up to oppression. I am astounded that your party, Fine Gael, sees no merit in a former colony leading the way for the rest of the world by banning goods from 'settlements' which have been built on land which was colonised illegally in 1967. The people of the West Bank have lived under a brutal occupation for 51 years, which is more than all of my lifetime, and they are in desperate need of hope. Ireland can give them some hope. Photo: John Kelly, The Clare Champion. I have travelled extensively in the Middle East and I believe a monstrous injustice has been caused to the people of Palestine. I'm also aware that they look up to Ireland and the Irish, due to our own struggle against colonisation. It seems clear to me now that the people of Palestine will not get any solidarity from Irish politicians who are more concerned about cozying up to our European and American 'masters' than standing up for human rights. We seem to have forgotten where we came from. Your party's line about the European Union leading the way on foreign policy doesn't wash. The West Bank settlements are illegal according to international law. Buying goods from them, on land which has been stolen from the people of Palestine, should be a 'no brainer' in a former colony like Ireland. This bill is not a full boycott of Israel and Israeli goods. It's merely calling on the Irish Government to uphold international law. I believe that Fine Gael is now on the wrong side of history, just as those who opposed the Dunnes Stores strikers in 1981 were proved to be wrong after their actions helped lead to the collapse of the appalling Apartheid regime. Nelson Mandela sought out and thanked those women years later when he came to Dublin. I can't see a future Nelson Mandela of Palestine wanting to have anything to do with Simon Coveney and the members of Fine Gael if he or she comes to visit Ireland. Yes, my interest in this is personal. This summer, I helped to raise €4,350 during a night out in Galway to bring a Gaza football team to Ireland. Those little underage boys, crying out for hope, were not even allowed out of Gaza, due to the appalling siege imposed on them by the Governments of Israel and Egypt. I was so inspired by the joy on the young boys’ faces when they came to Galway in 2016 and 2017. 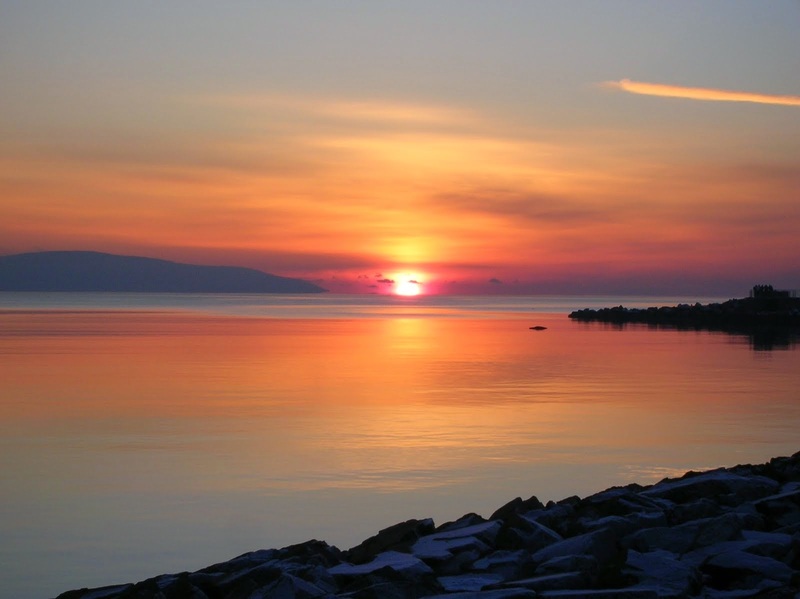 It felt so embarrassing to have to tell the people of Galway, who gave their money so generously, that we could not do anything for the young footballers of the Al-Helal Academy for another year. Those kids so badly need the kind of experiences they get from playing in places like Kinvara and escaping the stifling atmosphere of Gaza for even a few days. I know journalists who have been shot at by Israeli soldiers just for filming their actions. I know a wonderful human rights lawyer who has been branded a terrorist for chronicling the crimes which have been committed against the people of his village. I know people who have had raw sewage thrown down on their villages by 'settlers' who should not even be living beyond the 1967 borders. In the refugee camps of Jordan, years ago, I met people who still have the keys for their homes – even though they haven’t been able to go home in decades. And I'm sickened when Simon Coveney, who I believe to be a good man, tells me and other Irish people that we cannot lead the way on this by taking a principled stand. 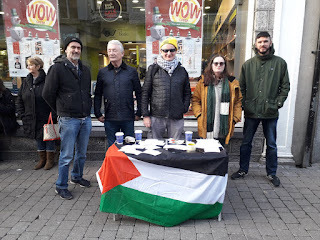 Last Saturday, a small group of us organised a stall in Shop Street in Galway. 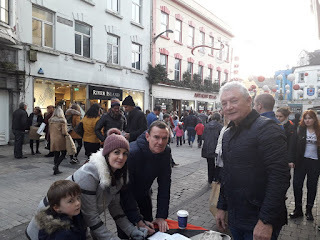 Over the course of five hours, almost 600 people signed postcards calling on Senators in our region to support the Occupied Territories Bill. Every one of them thanked us, warmly, for standing in solidarity with the Palestinians on a cold November Saturday. Two weeks earlier, more than a hundred people turned up in a Galway hotel to support Senator Black and her bill. It was amazing to see how many Galway people related so much to this issue, perhaps due to our own island's troubled history. it's not as though Palestine is as directly relevant to them as issues such as homelessness and the housing crisis. I believe the people who thanked us in Galway city centre last Saturday showed how out of touch Fine Gael are with ordinary people when it comes to human rights. Here in the West of Ireland, people really do understand. But it seems that the Fine Gael party members in this part of Ireland have forgotten their roots. They see no parallels at all between Oliver Cromwell and ‘To Hell Or To Connacht’ and the mass forced migration of Palestinians into the tiny strip of land called Gaza. And I believe that Senator Frances Black has shown great courage in the face of hostile international pressure by moving this bill. It’s not always easy to stand up for what you believe is right, especially when the might and the power are on the other side. So I guess I'm just writing this to express how disappointed I am by both you and your party, due to your decision to oppose a bill which would actually give huge hope to a people who are crying out for hope. If only others had given some hope to the Irish throughout the 19th century. It's so easy to dismiss gestures such as Senator Black's and to forget that the Irish have a huge place in the world. 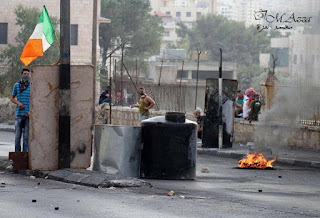 We inspire Palestinians precisely because we were once a colonised people ourselves. After 51 years of being occupied and having their land stolen, the people of Palestine need more meaningful gestures than our Government deflecting the issue to the European Union. What was the point of our own noble and often fruitless struggle for independence if we don't have the courage to take our true place in the world? Are we so willing to sell our souls because it’s more “convenient” than standing up for human rights? 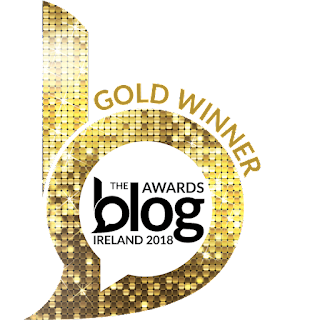 * Ciaran Tierney won the Irish Current Affairs and Politics Blog of the Year award at the Tramline, Dublin, last month. Find him on Facebook or Twitter here. Visit his website here - CiaranTierney.com. Very well said Ciaran. At my age I don't suppose I will get to see Palestine free of oppression from Israeli occupation. The only speck of support I can give is to always look at where my supermarket purchases come from? I certainly will not knowingly pick anything that is made or grown in Israel, never mind the illegally occupied territories. Ever since the Israeli state was created Israels government has taken every opportunity to expand its control over Palestinian lands. Keep up the great work you are doing as only by shaming our goverment will anything ever happen. It is clear you are a humanist and decent person, it is completely baffling why anyone of that nature would vote for a fascist party with a pathology of trickle up economics of serving the rich and a history of raising nazi salutes, of a party that hires loyalist paramilitaries to evict homeless people in Dublin from occupied buildings, of a party that denies medicinal marajuana access to bow down to big pharma. This is aside from bringing in any of political legacy of free state versus anti treaty, or of the executed Irish patriots under free state rule. Clearly Fianna Fail have been no better at betraying the nation through the GFC, as are the positions of Labour and Sinn Fein. To the voters of the establishment trickle up parties; be a free thinker, dont vote how your parents voted, government has not served the masses in a thousand years and will not in a thousand more, we vote agaisnt govt not for them, indies like Senator Francis Black are proof that a difference can be made by breaking the establishment stranglehold on power. Ireland has one of the truest forms of democracy in the world with proportional representation which is completely devoid in most shamocracies. As for the efficacy of the Occupied Territories bill, it is a token gesture, the tomatoes grown on the hillsiges of the Golan Heights will be used in Israel (assuming every nation took on a similar act) and Isreali grown tomatoes exported instead, to make the law effective, all goods from a state that holds occupied territories would need to be banned. Siding with the oppressor against the horribly-oppressed is utterly shameful, disgusting and inexcusable. Many Jews rightly condemn Zionism as a political movement which uses Judaism as a front. Unfortunately, Irish governments' dread of offending the US corporate-controlled empire which funds the vicious, genocidal Israeli apartheid regime, compels them to side with the oppressor against the horribly-oppressed. Ireland is 'free and independent'? Obviously, not true and a big lie.